“Taught to lie, to betray and not to tell the truth to the public” — this is a quote taken from Dr. Udo Ulfkotte, editor of the Frankfurter Allgemeine Zeitung, one of Germany’s largest newspapers, when he decided to come clean about his involvement with shadow government media scandals where he was threatened and convinced to write and publish false articles. He speaks to falsifying allegations around Libyan President Moammar Gaddafi building poison gas factories, as well as signing off on many articles written directly by CIA agents. He claims that he was very involved with cross country articles and writing stories to drive countries to war with one another. Ulfkotte also speaks to witnessing actual use of poison gas in Iraq but because Iraq was a US ally at the time, he wasn’t allowed to report on it. Ulfkotte most recently wrote a book entitled Bought Journalists in which he writes about the common corruption of journalism and major news outlets by CIA agents, and how it’s an oft-repeated routine that is both accepted and growing in western media. Journalists that don’t comply with this bias either cannot find jobs in any news organizations or find their careers cut short. Ulfkotte spoke of a number threatening letters and legal consequences after coming fourth and wanting to educate people of their media. Finally feeling the burdens of his work Ulfkotte knew what had to be done to help expose the truth, as well as cast light on the shadows and unspeakables of today. 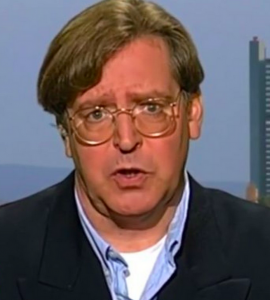 Becoming the first credentialed, well-known media insider to step forward and state publicly that he was secretly a “propagandist,” an editor of a major German daily has claimed that he personally planted stories for the CIA.